VIPAccessEXCLUSIVE: Tom Schwartz Interview With Alexisjoyvipaccess At The 3rd Annual Vanderpump Dog Foundation Gala! From working on a hit show that everyone loves to binge-watch to owning his very own bar and restaurant in West Hollywood, it’s clear to see that the sensational Tom Schwartz has his hands filled with a ton of exciting and spectacular projects! It’s obvious why everyone can’t help but gush over the magnificent Tom Schwartz. He has established himself as a fan-favorite in the show, Vanderpump Rules and viewers love every minute we get to see him on our TV screens. Tom Schwartz has such a charming, outgoing and exuberant personality and he truly is the life of the party. 2018 continues to be an extraordinary year for the terrific Tom Schwartz as his WeHo hotspot called Tom Tom opened up a few months ago. We can’t get over how incredible Tom Tom is and everyone is rushing on over there to try the signature cocktails and delicious food. Tom Schwartz, Tom Sandoval, Lisa Vanderpump and Ken Todd created the dream team that is behind Tom Tom. One of the many things we all love about Schwartz is that he is so full of life. It’s been another successful year for the phenomenal Tom Schwartz and we know that 2019 promises even more excitement and many more achievements for someone as wonderful as he is. 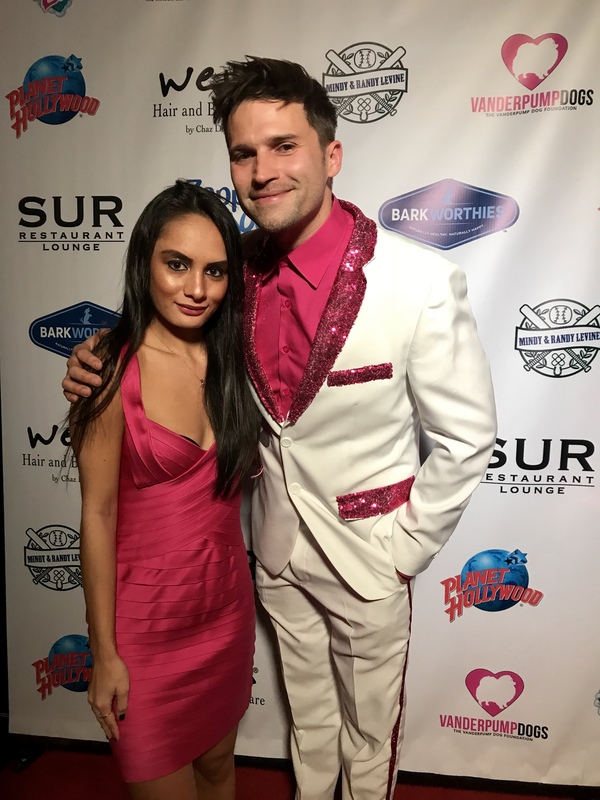 I, Alexisjoyvipaccess had an excellent time covering the 3rd Annual Vanderpump Dog Foundation Gala and had an incredible time catching up with and interviewing the outstanding Tom Schwartz again at the event. Tom Schwartz dished exclusively to Alexisjoyvipaccess all about what it was like for him to have shown his support at the stellar event, what his favorite signature cocktail is at Tom Tom and so much more only in our VIPAccessEXCLUSIVE interview. Tom Schwartz even revealed what he thinks his dog would say to him if he could talk for a day – hear what he had to say in our VIPAccessEXCLUSIVE interview below. Thanks for the amazing interview, Tom! Check out my VIPAccessEXCLUSIVE interview with the remarkable Tom Schwartz at the 3rd Annual Vanderpump Dog Foundation Gala below! Next VIPAccessEXCLUSIVE: Lisa Vanderpump And Ken Todd Interview With Alexisjoyvipaccess At The 3rd Annual Vanderpump Dog Foundation Gala! Niceeee interview , interviewee & interviewer !! !